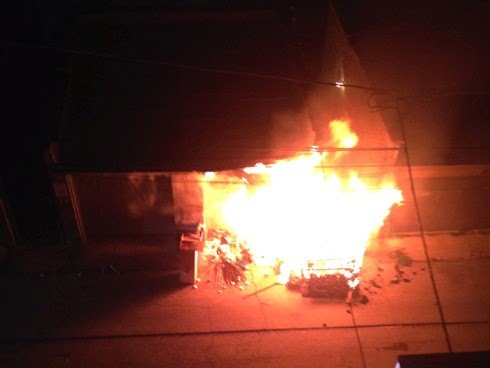 Fire sweeps through a Roscoe Street garage. 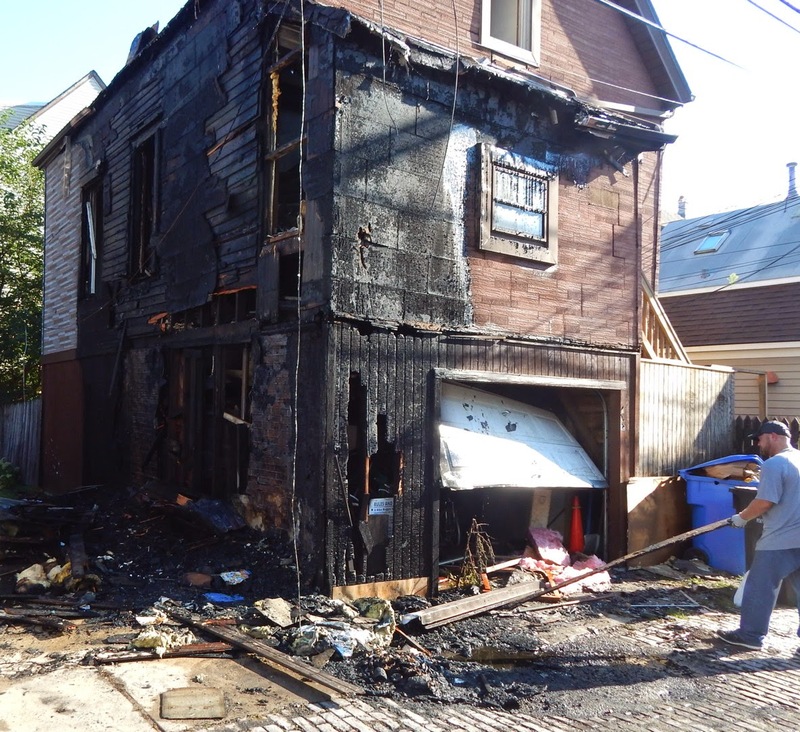 Several neighbors are dealing with clean-up, insurance claims, and emotional strain after an arsonist swept through neighborhood alleys overnight. No one was injured in the fires. 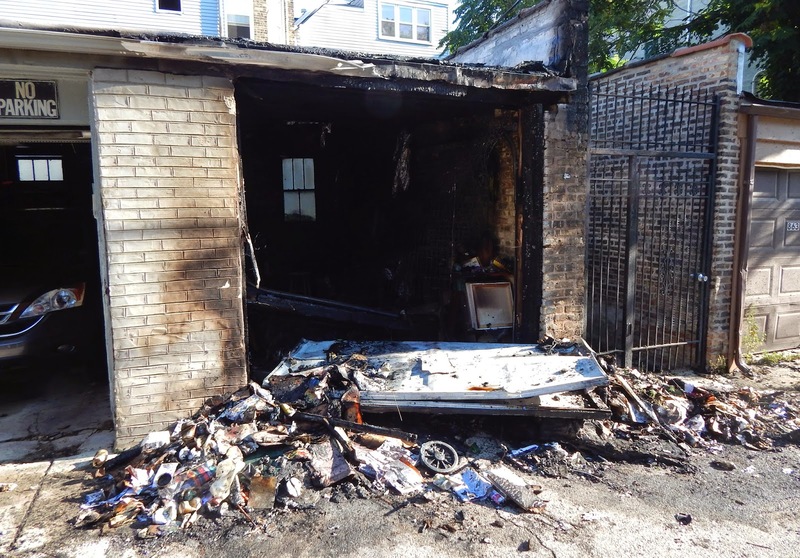 A Boystown resident’s home surveillance system captured images of the arsonist in action. Above: Aftermath of the Roscoe Street fire. Above/Below: Clean up begins on the Wellington Avenue coach house. 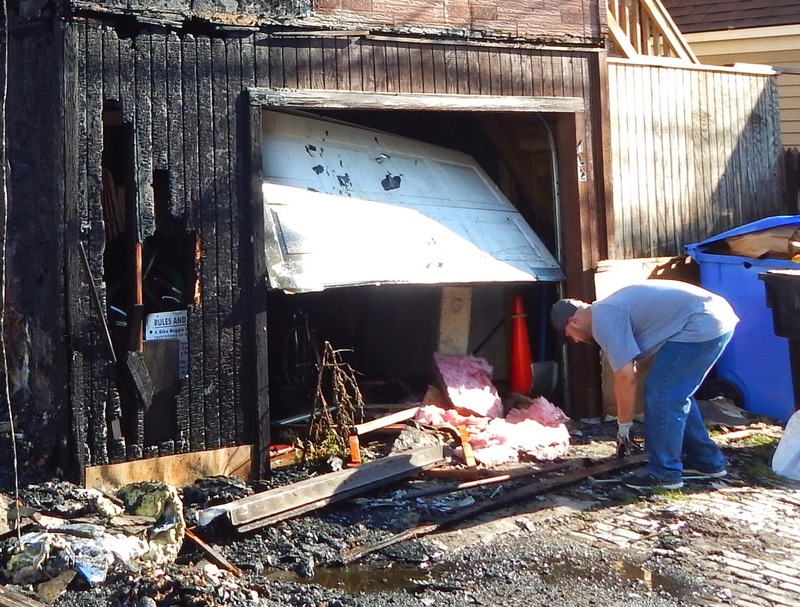 Above: A girl looks on as a man cleans debris from a neighbor's coach house fire. 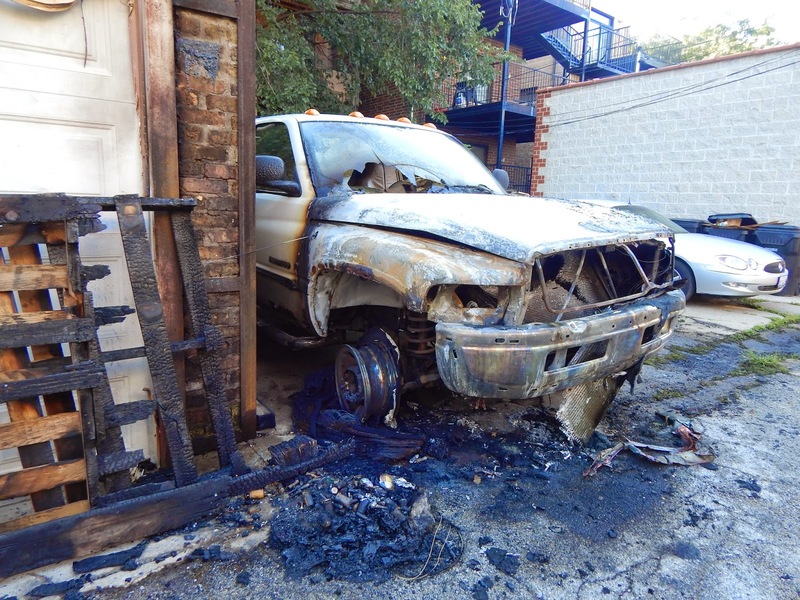 ABOVE: Arson investigators say this wooden pallet was intentionally ignited and set the truck ablaze.